Director Nguyen Ha Bac told Sai Gon Giai Phong Newspaper in a recent interview that making an animation film on Vietnam’s most famous General Vo Nguyen Giap was a big risk, but its successful outcome has become a great tribute on the General’s 100th birthday, on August 25. 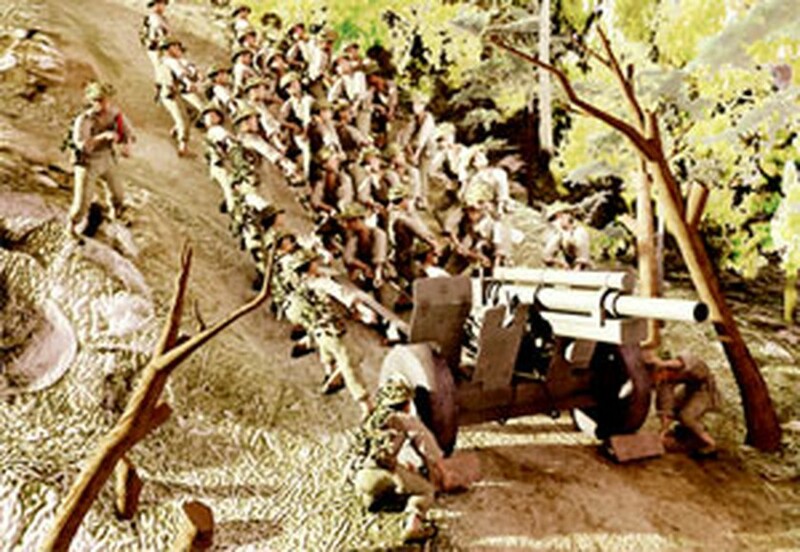 Bac said that he had taken a risk and was nervous during the making of the 3D cartoon film on Vietnam’s most revered living legends and icon, who is forever marked in the country’s history for defeating both the French and the American forces. “I could only breathe a sign of relief when the film was finished and screened for the General’s family,” said the director. The cartoon Quyet dinh lich su (Historic decision) of nearly 20 minute duration, took Bac two long years to make, since 2008. He had to undertake an extensive geological survey of Dien Bien Phu in Vietnam’s northern region before starting his venture. On the night of 25th January 1954, Vo Nguyen Giap made a decision to withdraw his men from the battlefield at Dien Bien Phu to conserve his forces, despite receiving orders to attack. This strategic decision played an important part in the famous victory of the Vietnam People’s Army at Dien Bien Phu a few months later. Bac said the script of the cartoon was based on the General’s memoirs and stories from people who had close contact with him. He said that General Giap is a man of the world, listed among 59 of the world’s greatest military generals in the past 2,500 years, as mentioned in the book ‘Great Military Leaders and Their Campaigns’ published in UK in 2008. People do not need a cartoon film to hear about him. “I made the film very carefully and truthfully, only so that it could give a brief look into a period of Vietnam’s history and have some educational value,” said Bac, the filmmaker of Vietnam’s first 3D cartoon Giac mo cua ech xanh - Green frog’s dream. According to him, it’s difficult to sketch the General, who can be gentle and smart like a teacher, but at the same time strong and ferocious like a commander. “That is a special gift on the General’s centenary birthday,” Bac said.